1946-1953 john von neumann 1 -without whom no programable computing ; von neumann was well aware of einstein's proofs that when man's science says there is nothing more to innovate the truth-seeking maths reply is model at a more micro level- engineers are aware you integrate bottom-up as are mapmakers..
note of dating- normally we try to date person from life changing moment around which peson's future alumni networks linked in- some exceptions eg in gandhi's case the consequece "independence from being colonised" seems most valuable - also his life changing moment 1906 satyagraha s.africa wouldnt qualify as occurring in sustainability's defining 84 years although it makes a foundling link for eg mandela to shine 3 generations later- our maps are comppsed around the idea that TODAY is the most exciting/valuable time to be alive- mainly 3 geerations over 60, 30-60, under 30s (that's half the world in people but until recently less than 5% of financial development freedom) trusts in investing and learning from each other- all this will by 2030 put our species' orbit into or out of sustaining mother earth - sustainability as the most urgent maths mapmaking ever mediated : revolves round local to global community collaboration-applications. In light of the above, we isabella@unacknowledgedgiant.com are most interested to hear from anyone passioate about mapping 13 regional views of oceans and continents- who have we not known about that your geerations most trusted? 1981-1988 Xi Jinping emerges as youth servant leader of movement of ending poverty by interfacing rural and urban development -through which chinese youth will be asked to turn dreams into reality by celebrating the higher order purpose of chinese capitalism by evolving a new network of place leadership. His peers start to link in alumni organisation revolving around the transformation of tsinghua as world's number 1 public servant university and from 2008 connector of the suburb of beijing that becomes the sustainable world;s number 1 digital entrepreneyrs hub In this part of beijing, other outstanding univesties within walking diustance are peking university and renmin university. Together this locates the largest stdent population (and international exchange opportunities) in the world. NB Exponential imoacts between 1990 and 2010 of nationalpolicies such as one child mean that the majority of family trees become dependent on the samrt netowrking of their one 24-35 year old. IN surprising ways this liks in the social securty of the nation round women lift up half the sky- girl graduates increasingly take on their generations responsbiity for worldwide youth friendships including sister cities and grounding what applications tech wizards code. B2.2 Building Rural Health Service network - see T0 - Health services are delivered to the community through over 80,000 community health servants who receive training on 10 common illnesses. They are modeled 6 after your “barefoot doctors.” They are the front line of public health – in water, in sanitation, and in the fight against tuberculosis. They have been taught to detect, refer and administer the DOTS (Direct Observation Treatment Shortcourse) treatment for tuberculosis. Dr. Mushtaque Chowdhury is the Vice Chairperson and advisor to the Chairperson and founder of BRAC. He is also a professor of Population and Family Health at the Mailman School of Public Health of Columbia University, New York. During 2009-2012, he served as a senior advisor and acting Managing Director of the Rockefeller Foundation, based in Bangkok, Thailand. He also worked as a MacArthur/Bell Fellow at Harvard University. Dr. Chowdhury is one of the founding members of the two civil society watchdogs on education and health called Bangladesh Education Watch and Bangladesh Health Watch respectively. He is on the board or committees for several organizations and initiatives, including the Advisory Board of the South Asia Centre at London School of Economics, Lead Group for Scaling Up Nutrition Movement at United Nations and is the current chair of the Asia-Pacific Action Alliance on Human Resources for Health (AAAH). He is also the President of the Dhaka University Statistics Department Alumni Association (DUSDAA). Dr. Chowdhury was a coordinator of the UN Millennium Task Force on Child Health and Maternal Health, set up by the former Secretary-General, Kofi Annan, along with Professor Allan Rosenfield, Dean of the Mailman School of Public Health of Columbia University, New York. Dr. Mushtaque had previously received the ‘Innovator of the Year 2006’ award from the Marriott Business School of Brigham Young University in the USA, the PESON oration medal from the Perinatal Society of Nepal in 2008 and Outstanding Leadership Award from Dhaka University Statistics Department Alumni Association. He has a wide interest in development, particularly in the areas of education, public health, nutrition, poverty eradication and environment. Dr. Chowdhury has published several books and over 150 articles in peer-reviewed international journals. A Ph.D. holder from the London School of Hygiene and Tropical Medicine, Dr. Mushtaque completed his MSc from the London School of Economics and a BA with Honors from the University of Dhaka. I realized that my role is not just about collecting data, but it is to make the work of BRAC known to broader development community within and outside the country. You have been a development professional for forty years and have recently been awarded for your achievement. Please elaborate the details of this global recognition. The award I received recently is called the “Medical Award of Excellence’ which is given annually by the US-based Ronald McDonald House Charities. Connected to the McDonald’s restaurant chain, the Charity was initiated in 1974 and has been providing support for compassionate care to children and their families worldwide. As of now, it works in 64 countries serving over five million families annually. This award, initiated in 1990, was won by many eminent personalities in the past, including former US President Jimmy Carter, former US First Ladies Betty Ford and Barbara Bush, Queen Noor of Jordan, Tennis star Andrea Jaeger and Health Minister of Rwanda Agnes Binagwahu. I am probably the first South Asian recipient of this prestigious award, and I feel very proud about it. An Award committee invites nominations from prominent people from across the world and decides on the winner from a shortlist of outstanding candidates. Recognition is the central aspect of it, but it carries prize money of $100,000, which will be donated to another charity of my choice. You’ve been a part of BRAC from its inception. Tell us something about its situation back then. When I joined in 1977 as a statistician, BRAC had only been operating for five years with its headquarters located in a small office at Moghbazar in Dhaka. But the main activities were in the field, in the remote areas of Sunamganj district. Soon after joining I was sent to the Sulla Project in Sunamganj. BRAC had been carrying out community development activities in about 200 villages of the haor region since 1972. There were projects on health, family planning, nutrition, education, agriculture, and microcredit. All the projects were geared towards empowering the poor and women. As the haor population did not grow or consume many vegetables, one of the projects promoted its cultivation and use. My first assignment was to evaluate the outcome of BRAC’s vegetable promotion in the villages. I spent a week in different communities trying to understand what the project was all about and how the villagers accepted it. I developed a simple questionnaire and tested it as a pilot. I was a fresh graduate from Dhaka University, and my knowledge or experience of how to design such an evaluation was rudimentary at best. Ultimately the idea of evaluating this program was abandoned as there was no baseline to compare with. However, this failed exercise taught me about the value of experimental design and non-quantitative ethnographic methods in research. More importantly, this first trip to Sulla gave me an immense opportunity to learn about the problems that the poor and women faced in rural Bangladesh, particularly in the backward haor areas, and see how BRAC was trying to address them through innovative means. The villages where BRAC was working had a very low literacy rate, less than 20%. BRAC designed an innovative adult literacy program called functional education. Following Paulo Freire, the Brazilian educator-philosopher, a significant part of the technical education program was to make people conscious of themselves and their role in society. I was deeply moved and pleasantly surprised by seeing how BRAC was making poor women aware and empowered. I attended several village meetings in which I found the women very vocal and articulate in explaining how they were being exploited in the family and the society. I was convinced and impressed that BRAC was doing some fundamental transformational work in changing the rural community. Such Freirean work that we did in the 1970s and 1980s laid the foundation for BRAC’s work in the years to come. The transformation we see now in the lives of women in Bangladesh has had much to do with what other NGOs and we did during that time. After the Sulla trip, I was asked to work in BRAC’s second integrated project, Manikganj. Supported by EZE of Germany, the project required a baseline survey to be done. I spent three months in the project and devoted all my knowledge and energy to do a good survey. There was no looking back afterward. I initiated many studies including a survey on Gonokendra, a monthly development journal that BRAC was producing for primary school teachers with UNICEF support. At the same time, I also started collaborating with a researcher at Bangladesh Institute of Development Studies (BIDS) to do some sophisticated analysis of data that we had collected on family planning in Sulla. I used to spend my daytime in BRAC and evenings at BIDS working on the family planning data. The results were dramatic – Sulla had the highest contraceptive prevalence and continuation rates in Bangladesh. I realized that my role is not just about collecting data, but it is to make the work of BRAC known to broader development community within and outside the country. We then started giving attention to publishing the success (and failure) stories of BRAC through scientific publications. The family planning results were published in the BIDS journal, The Bangladesh Development Studies, in 1978. BRAC is an action organization but my first few years of experimenting with research led to the quick realization that there was an appetite for evidence and its use in the organization. My purpose in BRAC was already determined – to help BRAC become an evidence-based organization! Tell us the story behind BRAC’s success. The recipe behind BRAC’s success has always been its robust, dedicated and uninterrupted leadership. Sir Fazle Hasan Abed, whom we fondly call Abed bhai, with his vision of a free and exploitation-free Bangladesh, has always been at the helm. He is a versatile genius with immense knowledge about everything. When I shared a draft report of the Manikganj baseline survey, my first output in BRAC, he took two days to read it. While giving his feedback, he asked me a few questions, which surprised me, of course very pleasantly. The questions he asked were about my use of different statistical methods and whether the use of specific other methods would strengthen the analysis. That was the day that I decided to stay in BRAC for the rest of my career and work with Abed bhai. I knew I would have the opportunity to learn and utilize my knowledge here directly. I sympathize with my many colleagues who did not get such opportunities to work with him directly. Many observers have attributed BRAC’s success to its exceptionally efficient management system. The internal audit department, for example, employs nearly 300 staff. BRAC is large with almost one lac staff, but the management is sufficiently decentralized with a clear information sharing system in place between the field and headquarters. Observers have also pointed out BRAC’s continued and unfailing emphasis on women. Most of the program participants, be it in microfinance, education or health, are all women. BRAC believes in scale. If a solution is effective at a small scale, we feel it is an imperative to bring it to as many people as possible. ‘Small is beautiful but large is necessary,’ as the saying goes in BRAC! BRAC’s programs are large and now reach about 120 million people, most of whom are in Bangladesh. BRAC works closely with the government but doesn’t shy away when needed to challenge any government action that BRAC thinks goes against the interest of the poor. BRAC also works in close partnership with the development partners. Some of the donors of BRAC have continued supporting it since its inception. BRAC has achieved such trust of our partners. The other distinguishing feature of BRAC is its insistence on sustainability. BRAC has been establishing enterprises since the 1970s. The enterprises support its development programs and generate a surplus for use in other development activities. 80% of the $1 billion annual budget of BRAC is generated internally. BRAC is often its fiercest critiques. The investment in research and evaluation has made BRAC one of the very few evidence-based NGOs globally. 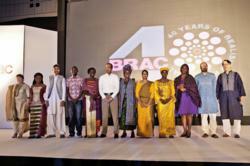 And last but not the least is BRAC’s continued commitment to its purpose. It has remained true to its goals but has changed course and strategies based on the changing needs of the poor and the national and global realities. What is the reason behind the success of NGOs in Bangladesh? The War of Liberation has brought a massive change in the mindset of the people of Bangladesh. Most of the large NGOs such as BRAC and Gonoshasthaya Kendra are the direct fruits of the War. The NGOs made good use of the changed mindsets. The prestigious medical journal Lancet has recently published a full series of articles on Bangladesh’s progress. Interestingly, one of the reasons attributed to this success is the Liberation War. The promotion of family planning is cited as an example. Before the war, conservatives created obstructions against family planning. However, after liberation, the conservatives were defeated along with their viewpoints, and others were free to live based on their own beliefs and philosophies. The work of NGOs and, of course, the government has led to the family planning revolution in the country. This social reform brought by the liberation war was hastened by NGOs whereas such improvements are not visible in Pakistan or India. In case of sanitation, on another example, Bangladesh has done tremendously well. The rate of open defecation in Bangladesh is 1% compared to India’s 50%. Bangladesh has worked in a similar direction from the 1970s and created a base, which is still contributing to issues such as family planning, sanitation, and microcredit. The NGOs are still working to empower and make people conscious, and I believe this has contributed significantly to their success in the country over time. What social impacts do the “Ultra poor” and “Adolescence Girls Club” projects run by BRAC have on the society? BRAC’s program on ultra-poor focuses on the bottom 10 to 15% of the population in poverty scale. They do not have access to microfinance. Initiated in 2001, this program offers a package of interventions including participatory identification of the ultra-poor families, transfer of assets such as cows, goats, chickens or small grocery shops, training on how to take care of the assets, and coaching. We also give them a stipend so that they can concentrate in rearing the assets, as well as health services. Till date, we have been able to reach around 1.7 million families. According to research studies done by the London School of Economics, the participant family members have continued their upward march to earning more income and assets and improving the nutritional status of their children. Experiences suggest that 95% of the participants are able to graduate out of ultra-poverty within two years and gain access to microfinance and other market-based poverty reduction tools. In 2004, the Ford Foundation and the World Bank replicated the model in ten countries of Africa, Asia and Latin America, which produced similar positive results as Bangladesh. At present, this model is being implemented in 40 other nations of the world. This is an example of how a model developed by BRAC in Bangladesh is being used to reach the Sustainable Development Goals (SDGs) globally. BRAC Adolescence Girls Club model has also been replicated in many countries where BRAC works. In Uganda, for example, thousands of Ugandan adolescent girls are participating in over 1200 such clubs. Research done by the London School of Economics found that participation in adolescent clubs has resulted in higher use of family planning and in lowering fertility rate. This is quite significant in a society where the large family (with 6+ children) is a norm. A vast social change is being ushered in the process. What measures have you taken concerning the health sector? Bangladesh has done reasonably well in recent years in improving the health status of its population. This has been possible because of selected public health programs are undertaken by the government and NGOs. Oral rehydration therapy (ORT) program done by BRAC is a good example. Other successful programs include immunization, tuberculosis and family planning. However, there are other issues in the health sector that need to be addressed to reach the SDGs. These include non-communicable diseases such as cancer, hypertension, and diabetics, etc. which is responsible for 65 percent of deaths nowadays. To address such issues we need to have a good health system and definite and sustained steps towards ensuring Universal Health Coverage (UHC). We are currently working on some areas including maternal, newborn and child health (MNCH), TB, nutrition, primary health care, eye care, water, sanitation and hygiene (WASH), malaria, etc. BRAC has a significant contribution in the country’s educational sector. What new things is your organization planning to bring forward in this regard? The literacy rate in Bangladesh has gone up over the years, but effective literacy is still not more than 50%. BRAC is doing its part of bringing children to schools. Fortunately, almost all children are enrolled in schools but, unfortunately, many drops out before passing the primary level. The transition from primary to secondary is low. The quality of education remains a major issue. BRAC is experimenting new ways of financing primary and secondary education. We are also in the forefront of using modern technology in classrooms, and in instruction and this respect, we are working closely with the government. We are also experimenting new models of delivering early childhood education from birth to age 5. The BRAC University has already become a major destination for the new generation. It is one of the top universities in the private sector. In a recent rating, BRAC University is third in Bangladesh after Dhaka University and BUET. The University’s School of Public Health is attracting students from over 25 countries of all the continents. What is the future of prospect of the Bangladesh economy? Like most Bangladeshis, I am very optimistic about the future of Bangladesh. The poverty situation has improved significantly – proportion of population poor has declined from about 60% in the 1980s to less than a quarter now. This, however, means that 40 million of our citizens are still poor by any standard! This is unacceptable. The recent HIES released by the Bangladesh Bureau of Statistics shows some alarming trend. The gap between the rich and poor is growing very fast. In 2010, the poorest five percent of the population had 0.78% of the national income, which has now reduced to 0.23%. On the other hand, the share of the wealthiest five percent population has increased from 24.6% to 27.9%. There is no alternative to shared growth. please note this section of links no longer works due to changes in coursera bookmarks. 1 Linkin leapfrog coding club – bkash puts you at epicenbtre of leapfrogging finance- sir girdon browns tream asking who is leapfrog of education; also youth's hackathon world is wondering what does bangladesh as an elearning nation mean? Your first module for Access to Capital for Women is now available. It includes a reading and an exercise for you and your team to do together. Over the years, our students have told us about the tremendous benefits of peer learning. So if you don't have a study partner yet, please complete the Team Formation assignment before starting the course. You can find instructions on "How to Form a Team" on the course platform. Sir Fazle has been honoured with numerous national and international awards for his achievements in leading BRAC, including the Thomas Francis, Jr. Medal in Global Public Health (2016), World Food Prize (2015), Trust Women Hero Award (2014), Spanish Order of Civil Merit (2014), Leo Tolstoy International Gold Medal (2014), CEU Open Society Prize (2013), Inaugural WISE Prize for Education (2011), Entrepreneur for the World Award (2009), David Rockefeller Bridging Leadership Award (2008), Inaugural Clinton Global Citizen Award (2007), Henry R. Kravis Prize in Leadership (2007), Palli Karma Shahayak Foundation (PKSF) Award for lifetime achievement in social development and poverty alleviation (2007), UNDP Mahbub ul Haq Award for Outstanding Contribution to Human Development (2004), Gates Award for Global Health (2004), Gleitsman Foundation International Activist Award (2003), Schwab Foundation’s Social Entrepreneurship Award (2003), Olof Palme Prize (2001), InterAction Humanitarian Award (1998) and Ramon Magsaysay Award for Community Leadership (1980). He is also recognised by Ashoka as one of the 'global greats' and is a founding member of its prestigious Global Academy for Social Entrepreneurship. In 2009, he was appointed Knight Commander of the Most Distinguished Order of St. Michael and St. George (KCMG) by the British Crown in recognition of his services to reducing poverty in Bangladesh and internationally. He was a member of the Group of Eminent Persons appointed by the UN Secretary-General in 2010 to advise on support for the Least Developed Countries. In 2014, he was named in Fortune Magazine’s List of the World’s 50 Greatest Leaders. Sir Fazle has received many honorary degrees, including from Princeton University (2014), the University of Oxford (2009), Columbia University (2008) and Yale University (2007). ...can you help us word a question that BRAC's 30 million end-poverty families have either an answer to or are partnering in (MOOC) massinve open online collaboration to? 3 I wish to futurise debates around what brac mobile and women empowerment can lead: this includes bkash and elearning for brac - but also questions what is the 20 years story of advances brac has made since bangladesh became first mobile partner country of women to end poverty; also if september in new york is really to be where world empowers millennials to chnageover to sustainability goals then this year's f4d needs a lecture from sir fazle or a micro tedx!!!! also where my quiz of most valuable content channels of 3 billions millennials elearning satellite started with the 4 partnerships you know how to linkin for Africa : kenya womens financial inclusion, rwanda (west af) community health training, south africa G7 with blecher/mandela extranet, and maybe ethiopia main connector of food secure value chains amplified by pop stars - maybe the 4th of these is best mapped as wholeplanet rural economy to end poverty! Purpose of valuetrue millennials networks is to help peoples, especially youth, rediscover Scottish Economics (SE) 1748-1948. BRAC provides my favoritte system to learn from. For example, the idea of microfranchises as a model that creates jobs, provides solutions to communities' most desperate problems, but leaves all or most of the value produced to stay in the community. One of BRAC's first microfranchises became nearly 100000 community volunteer health networks. They first made a living training mothers of infannts how to do oral rehydration - before the community health worked nearly 1 in 6 infants died of diarrhea.. They then added in an array of basic medicines children and mothers need most including vitamin sachets and malaria pills, They are the most economical health networker the pre-webbed world ever saw because they focused on low cost mass solutions to the most basic types of illness. In the post webbed world, I cant think of a nation rich or poor who wouldnt gain from microfrancising 21st C nurses seen not only as caring suppliers of basic helarh services but the number 1 content connector odf the 21st C.
;Most exciting cuuriculum in world of 2013? We rely on a vast array of partners in our mission to serve the poorest communities around the world. It is important for us to look beyond our present role of mere service providers and invest in building a broad-based coalition of rights-based development partners capable of fighting the policies that drive neo-liberal urbanism, and pressing for collective bargaining rights of the poor and marginalized. By working in partnership, we improve our efficiency and effectiveness, and increase our impact on poverty. We collaborate with government agencies and other humanitarian organizations operating on the local, national and international level, who provide us with cash and in-kind donations, expertise, shared resources and other forms of support. All of these programs reflect the strengths and determination of BRAC, its employees, partners and supporters who, working hand in hand with the citizens of Bangladesh have demonstrated the power of ideas and local action. I am sorry to say that patriarchy remains entrenched in our social and religious practices. Sir Fazle Hasan Abed, founder of the world’s largest development organisation, BRAC, called for innovative solutions to address the needs of the burgeoning youth population in developing countries in an address delivered in February celebrating the 40th anniversary of BRAC. As dignitaries gathered in Dhaka, Bangladesh, to celebrate BRAC’s 40th birthday, Sir Fazle, who founded the organisation in 1972, announced a new youth strategy as BRAC scales up operations in 10 African, Asian and Caribbean countries. He also called for doing away with “outdated approaches to teaching” in the developing world, calling most public education systems in the developing world unsuitable for preparing students for the 21st century knowledge society. “You will be happy to learn that BRAC is in the process of developing a comprehensive strategy to help the vibrant, innovative and entrepreneurial younger generation of today to realize their potential, and be the agents of change within their communities,” Sir Fazle said. The chairperson, who could not attend the gathering for health reasons but delivered the address via a spokesperson for the organization, called for education reform in poor countries. “Unfortunately, public education systems in most developing countries are unfit and unsuited to prepare our youth for the 21st century knowledge society that we must aspire to,” he said. BRAC is the largest secular, private education provider in the world, with over 5 million students having graduated from its alternative primary schools, dubbed “second chance” schools targeting those left behind by official educational systems. Sir Fazle has been hailed as an innovator in the field of education, winning the inaugural WISE Prize for Education in Qatar, styled as a Nobel for the field of education, last year. In his speech, BRAC’s chairperson spoke of the “remarkable” progress of the organisation’s home country, Bangladesh, “in almost every major indicator of human development” over the last 40 years. “Today, the progress we have made is the envy of most of the developing nations in South Asia and beyond,” he said. Infant mortality, for instance, has dropped from 200 per 1,000 live births to less than 50, and maternal mortality from 800 deaths per 100,000 live births to less than 200. Fertility rates have fallen dramatically as well: The average Bangladeshi mother now has just 2.7 children as opposed to 6.5 in 1972. Literacy rates have risen from 25 percent to over 65 percent. The Hasan Family also spelled Hassan, is an esteemed Bangladeshi family, who have contributed exceptionally to South Asian politics and various social movements for nearly four-hundred years. The seat of this Zamindar family is located in Baniachang, Sylhet near the town of Habiganj. The family is one of the remaining remnants of the nobility of the Mughal Courtto exist in Bangladesh, with their ancient home still intact.According to legend, the family is of Arab and Persian descent, supposedly from the lineage of Abu Bakr, the first Sunni Caliph and father-in-law of Prophet Muhammad. The first known Hasan was sent to Bengal by the Mughal Emperor Jahangir. Meheriar Munim Hasan: Executive Vice President of US Bank Corporation. Highest ranked Bangladeshi bank executive in the Western Hemisphere. Nahid Hasan: Director of Bangladesh Garment Manufacturers and Exporters Association. Celebrated businesswoman of Bangladesh. There isn't a Nobel Prize for education. But this month has seen the launch of an award that would like to have such a similar international status. 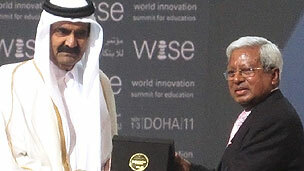 The inaugural World Innovation Summit for Education (WISE) Prize was announced in Doha, Qatar, with the $500,000 (£310,000) award being given to Sir Fazle Hasan Abed, whose work has brought education to millions of children in impoverished families. Sir Fazle, the first education "laureate", has worked across decades and continents to help communities to escape the quicksand of poverty and to gain skills and self-reliance. Created in Bangladesh in 1972, his BRAC project - formerly the Bangladesh Rural Advancement Committee - is now claimed as the biggest non-governmental organisation in the world. An estimated 10 million primary pupils have been taught in schools set up by Brac across 10 countries, in such tough territories as South Sudan and Afghanistan. It's a vast operation, running more schools in Bangladesh than the entire English school system, and it is claimed to be the "largest private, secular education system in the world". Working with the poorest, most disadvantaged rural communities, often blighted with conflict, exploitation and disease, this is the raw edge of education, with one-room classrooms and basic skills. But speaking after the award, Sir Fazle says that the greatest challenge for global education applies as much to the more affluent countries as to the poorest. And that big problem, he says, is inequity, the stubborn link between family income and educational outcome. "A child born in a poor household has less chance of going to university than a child born in a wealthy household, in almost every society. "So how do we remove this inequity? Every child should have the same opportunity." BRAC works to alleviate poverty on a broad range of fronts - from micro-credit to health schemes - but he says that education is becoming ever more important. "It's so important for our survival, our progress, that every country wants to put more resources into education." This isn't simply about economic progress, as he links education and literacy to the building of self-worth and self-help for individuals and communities. It provides the key to understanding "the power structure and how to change it". His own commitment to development stemmed from the life-changing experience of the cyclone that hit Bangladesh in 1970. It turned an accountant into an activist. "Many people died, and I saw the loss of many people, the corpses lying in the fields. That changed my philosophy, I found that life was so fragile, you could die so easily. That changed my values about what kind of life I should lead," he says. This was compounded by the "death and destruction" he saw during the war that accompanied Bangladesh's independence. Such experiences profoundly affected him and pushed him to view his country "from the point of view of the poor". It made him "determined to achieve change", he says. The award of the first WISE Prize was part of a wider event, the World Innovation Summit for Education. This WISE summit wants to be a kind of Davos for education, bringing together the great and the good to hear about innovation in schools and universities. It's supported by the Qatar Foundation, which has the succinct ambition to "convert the country's current, but temporary, mineral wealth into durable human capital". This translates as investing heavily in education and becoming a knowledge hub so that there's something of value left when the oil revenue eventually runs out. It's a fast-forward project with parallels to creating the infrastructure for the World Cup. There is a 1,000 hectare Education City being developed, attracting university partners from the United States, France and the UK. But big international promises, played out under the photographs and rhetoric of summits, can also turn out to be hollow. 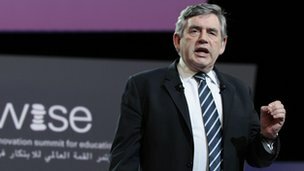 Gordon Brown, former UK prime minister and one of the speakers at the WISE event, delivered a blunt recognition that some of the Millennium Development Goals for 2015 were going to be missed. "We know it is now impossible, I'm afraid, to achieve the Millennium Development Goal that would cut infant mortality by half - we are too far away." There were other goals, signed by leading countries, that were going to be missed, he said. But he called on governments, charities and philanthropists to mobilise to achieve the goal of universal primary education by 2015 - and proposed a "global fund for education". Wikipedia's Jimmy Wales was among the WISE speakers and Mr Brown called on technology companies, such as Microsoft, Apple, Google and Facebook to play a part in bringing education to the "poorest part of the poorest country". "We can reinforce in people's minds that when the world makes a promise, it is not a promise that is casually set aside and betrayed for millions of children of future generations, but a promise that we do everything in our power to keep," Mr Brown told the audience in Qatar. He said that governments had to be held to their funding promises - and "where countries fall behind, we should be telling them that this is not acceptable". There's a long way to go as one sobering statistic from BRAC makes clear. In 2011, when international conferences in the Gulf can be broadbanded round the world in seconds, it's still more likely that a girl in South Sudan will die in childbirth than finish primary school. Tune in to ABC Friday, Dec. 16, at 10 pm (EST) for a "20/20" special with Diane Sawyer featuring BRAC – and Rina, a new mother who lives in a slum in Bangladesh. Bearing a child should be the happiest day of a woman life – but too often, for reasons that are entirely preventable, it ends in the death of the mother, the child, or both. BRAC has figured out a low-cost yet ingenious solution for reducing pregnancy risk, reaching 24.5 million people in the process. That's the population of the state of Texas. In “Making Life: A Risky Proposition,” an hour-long report on challenges faced by mothers in developing countries, ABC News travels to the slums of Dhaka, seeing our work in action – including a visit to a BRAC birthing hut to welcome the new arrival of Rina's healthy baby boy. The report is part of ABC News's Million Moms Challenge. Show your support today by "liking" the Million Moms Challenge on Facebook. If they reach 100,000 likes by noon today, Johnson & Johnson will donate $100,000 to the cause – so please like and share with your Facebook friends! We’re making a real difference, and we believe we can multiply our efforts by spreading the BRAC approach worldwide. So tune into ABC on Friday and help us spread the good news! Ian Smillie: This book is about a triumph of optimism, enterprise, and common sense over despair. It is about development without borders. It is about one man and the incredible organisation he created to deal with abject poverty in a broken country. But it is about far more than Bangladesh and what this organisation has achieved. I have spent 30 years surveying how purposefully organisations sustain their workers missions. BRAC and Grameen are off the scale compared with any large organisation I have researched - and I have surveyed more that half of the world's most famous global 100 brands. Fazle Hasan Abed is the Founder and Chairperson of BRAC, one of the largest non-governmental organizations in the world with over 100,000 staff members and an annual budget of $430 million. BRAC’s micro-finance program has 6.37 million borrowers and has cumulatively disbursed more than $4 billion. More than a million children are enrolled in BRAC schools and more than 3.67 million have graduated. BRAC’s health program reaches more than 100 million people. BRAC has, in recent years, taken its range of development interventions to Afghanistan, Sri Lanka, Tanzania, Uganda and Southern Sudan. Abed has been recognized through a number of awards, including UNICEF’s Maurice Pate Award, the Olof Palme Prize, Schwab Foundation’s Social Entrepreneurship Award, the Gates Award for Global Health, UNDP’s Mahbub-ul-Haq Award, and the Henry R. Kravis Prize in Leadership. .The entrepreneurial leaders and co-wrkers of BRAC and Grameen have demonstrated that poverty is not the fault of people , women and children but a failed system. It is inhuman for a child to be born into a place where it has 20% chance of dying before the age of 5 due to villages not having local nurses. BRAC's first solution in the 1970s was oral rehydration - a service that village nurses needed to provide when babies had diarrhea. Its inhuman for children to have no access to primary education - BRAC's second main service requiring a teacher in every rural area. Grameen completed this hi-trust local triangle by providing a banker in every community empowering women with credit and peer to peer support to start small entrepreneurial businesses Until the internet's technology, the world's people and their productive lifetimes had been more separated by the geography of where they lived than interconnected. My father, one of the West's leading microeconomists clarified in 1984 how one generation (1984-2024) would become worldwide connected for the first time. This is the greatest system change ever to hit one generation of the human race. System change can always spiral one of two extremely opposite compound consequences not something in between. It was clear in 1984 that if the 21st Century is to be the best of times for all peoples on this planet then we must share life-critical knowhow in non-zero sum ways, end poverty by bridging digital divides. The millennial goals provide a pretty clear map of what ending extreme poverty simultaneously around the world entails .In July 07 within weeks of becoming UK Prime Minster Gordon Brown give a very clear storyline "people power" of what our institutions have not yet started to transform towards if millennial goals are to be met and local communities are to have an equitable opportunity of being integrated into globalisation. He updated this a little over a year later at Clinton Global Initiative - at a time where fellow keynote speakers -Obama and Mccain - both deplored the excesses of global top-down systems such as wall Street's failed banks - and pledged they would commit America to returning to millennial goals. Ironically, there's a lot every nation can learn from ensuring that communities have banks investing in local people's ability to generate jobs. We are at a stage in human history where the kinds of jobs of the future are changing just as fast as when the industrial revolution emerged. But this time it is pure manufacturing jobs that are disappearing. Brown was correct in visioning an age where government should not promise anyone that their old jobs are safe but should be promising people structures in which everyone has access to developing new jobs. In the midst of this families and children in any civilized place need the same rights that BRAC and Grameen have pioneered :n channeling local medical support, local teachers, local bankers, connection to the worldwide, collaboration spaces in which people peer to peer learn vocational skills. There is an opportunity for egovernment to make this openness and representation of cultures that unite round the golden rule of all major religions. Do unto others what you would wish done unto you. Today national strategic dialogues co-chaired by leaders like Abed and Yunus make fascinating reading. In effect, Bangladesh has become the country par excellence in developing sustainable community franchises that end poverty and its boundary environmental challenges. It is evident that its fast growing neighbours India and Chinawill need these services just as much as Bangladesh. The world in effect is finding that Bangladesh is the number 1 exporter of solutions that accelerate accomplishment of millennial goals everywhere as well as developing the sorts of entrepreneurial and job-creating education that all future children need. Educators have spotted that the schooling system the west built has its design origins in western empire's ancient industrial needs, when it was assumed that a few per cent would be promoted to a command and control top, and schools would sift out the vast majority as not talented enough to have their competences invested in. This is the ultimate challenge that the whole world needs change if we are to honor every child's potential from the day she or he is born. If we fully understand the benchmarks that BRAC and Grameen offer us by partnering grassroots networks such as theirs in Future Capitalism, then today's adult generation may yet hand on the best of times to all our future chldrens. Ultimately children are the deepest sustainability investment and a very micro one. Not the sort of flow that macro institutions like Wall Street banks ever got close to appreciating. We need new economic maps. Ones that worldwide networkers can collaboratively search out if mass media puts on reality program in which youth the world over wants to be "The Apprentice" of community entrepreneurs like Abed and Yunus and the 100000 Bangladeshi's+ they have inspired to be community facilitators of microentrepreneurship. Global anti-poverty leader pledges to invest at least $280 million to reach 2.7 million additional girls and train 75,000 teachers by 2019. BRAC, already a global leader in providing opportunity for the world’s poor, has boosted its commitment to girls’ education in low-income countries with a five-year pledge to reach 2.7 million additional girls through primary and pre-primary schools, teacher training, adolescent empowerment programs, scholarships and other programs. BRAC is already the world's largest private, secular education provider, with 1.3 million boys and girls now enrolled in 43,500 primary and pre-primary schools and 311,000 participants in its adolescent development programs. Formerly Bangladesh Rural Advancement Committee, BRAC is now active in a dozen countries, serving the poor through the empowerment of women and girls with tools such as microfinance, education, healthcare and a full-fledged university, BRAC University in Dhaka. This commitment significantly expands BRAC's existing education programs by reaching an additional 1.3 million girls directly in BRAC schools, roughly 636,000 additional girls through teacher training in government schools, and 714,000 more through various other programs, including adolescent empowerment, gender harassment awareness, mentorship programs, and scholarships. BRAC estimates the investments needed to fulfill these commitments will be more than $280 million, over half of which has already been raised from partnerships with AusAid, UK Aid and The MasterCard Foundation. 1. Getting girls into school: Since its inception in 1985, more than 10 million students have graduated from BRAC's primary and pre-primary schools, which target children who would otherwise be left behind by formal education systems due to poverty, displacement or discrimination. BRAC recognizes the unique role girls play in bringing health and prosperity to their communities, and the majority of its students are girls. BRAC plans to expand its school programs to offer education to about 1.3 million girls in marginalized communities across seven countries: Afghanistan, Bangladesh, Pakistan Tanzania, Sierra Leone, South Sudan and Uganda. BRAC recognizes that entering primary school is not enough. It further commits to providing 11,500 scholarships in Afghanistan, Bangladesh and Uganda to ensure that girls have the support they need to stay in school at least through secondary education. 3. Improving quality of learning: BRAC recognizes that enrollment numbers do not describe the true depth of the problem of quality in the world’s education systems. Schools in poor countries tend to favor rote memorization over true learning, doing little to impart the life and work skills needed to prepare our youth for the 21st century knowledge society. Of around 650 million primary school age children in the world today, an estimated 250 million have not learned to read or count, regardless of whether they have gone to school. Children need classrooms, teachers, suitable technology, and an enabling environment that will encourage them to think for themselves. These elements will develop the problem-solving skills, critical thinking ability, and enterprising mindsets that are some of the greatest assets for navigating one’s way out of poverty. 4. Helping transition to the world of work: BRAC recognizes that the economic empowerment of women has led to enormous gains for poorer countries, and that preparing women for the workforce needs to begin at an early age. BRAC’s Empowerment and Livelihoods for Adolescents (ELA) program aims to do this by providing adolescents girls with safe spaces, peer mentorship, life skills, health awareness (particularly reproductive health), vocational and leadership skills, and access to finance through microloans. ELA is the fastest growing program in BRAC’s operations outside of Bangladesh, with more than 70,000 girls now participating in Uganda, Tanzania, South Sudan, Sierra Leone and Liberia. They join more than 168,000 girls in similar clubs in Bangladesh, where a number of other trade-specific training programs have also led to girls breaking the gender barrier in traditionally male-dominated fields like driving and motorcycle repair. BRAC plans to deepen and expand its adolescent girls empowerment programs in Bangladesh, Uganda, Tanzania, South Sudan, Sierra Leone and Liberia, reaching about 400,000 additional girls with robust and relevant livelihood training to ensure sustainable economic independence. 5. Supporting developing country leaders in girls’ education: BRAC is committed to providing thought leadership, advocacy and advisory services to advance successful girls’ education approaches and models around the world. BRAC plans to invest $6 million in the Institute for Educational Development at BRAC University in Dhaka to become a global learning hub for innovation, research, training, advocacy and assessment on approaches to quality education in the developing world. It commits to training 52,000 mentors in Afghanistan, Bangladesh, Tanzania and Sierra Leone to give them the leadership skills they need to support vulnerable girls in school, and to develop a local learning network in Uganda to share best practices in girls' education. With a track record of implementation at scale with continuous impact evaluation, BRAC can serve as a source of evidence and learning to improve program effectiveness. It therefore commits to developing programs of technical assistance for other NGOs, development agencies, and governments. It will develop partnerships and a learning community for stronger global advocacy with the hope of furthering the movement for girls' education and empowerment across the world. BRAC, a development organization founded in Bangladesh in 1972, is a global leader in creating opportunities at scale as a means to end poverty. With more than 120,000 employees, it is the world's largest non-governmental organization, touching the lives of an estimated 135 million people in 12 countries using a wide array of antipoverty tools such as microfinance, education, healthcare, legal rights training and more. BRAC University in Dhaka is a hub of higher learning with more than 6,000 students enrolled. Learn more at BRAC.net. BRAC USA is an independent, US-based grantmaking affiliate of BRAC formed in 2006 to advance and support BRAC's global mission to create opportunities to unleash human potential and end poverty. Learn more at BRACUSA.org. Abed is the first recipient of the prize, conceived in 2010 as a Nobel for the field of education. The world’s largest prize of its kind, the jury for the award consisted of five eminent persons in the field of education: James Billington, the U.S. Librarian of Congress; Jeffrey Sachs, director of The Earth Institute and Quetelet Professor of Sustainable Development at Columbia University; Fatma Rafiq Zakaria, chair of India’s Maulana Azad Educational Trust; H.E. Naledi Pandor, Minister of Science and Technology for South Africa, and Abdulla bin Ali Al-Thani, the WISE chair. In debates and panel discussions at the Doha conference, which runs from Nov. 1 to Nov. 3, BRAC officials are promoting the nonprofit’s high-tech, low-touch approach to educating the world’s poor. BRAC delivers a message of cost-efficiency and scalability to a summit of over 1,000 thought leaders running from Nov. 1 to Nov. 3 in Doha. Already educating millions, BRAC is in the midst of an international expansion effort that sees it perfecting and scaling up its innovative low-cost education approach with help from private sector partners. BRAC is scaling up massively in Uganda thanks to a $45 million commitment from The MasterCard Foundation, for instance. Numerous public sector agencies such as the UK’s Department for International Development and the Australian Government Overseas Aid Program have also partnered with BRAC on education initiatives. Soon celebrating 40 years of operations in Bangladesh, the Dhaka-based organization emphasizes large-scale solutions. According to BRAC officials, the wisest investments are often as simple as renting a schoolhouse instead of building new ones. After just five years in Uganda, BRAC and The MasterCard Foundation already reach over 2 million people and are on schedule to reach 4.2 million people, or over 12 percent of the population, by 2016. BRAC has exceeded commitments made in 2007 to educate youth in the poorest parts of Africa and Asia, having committed to mobilizing $271 million for education at the Clinton Global Initiative conference in 2007, with a goal of reaching 7.5 million children by 2012. BRAC has already raised more than $288 million to reach 5.6 million children. In addition to traditional learning, BRAC seeks to “educate the whole child” with life skills training as part of a comprehensive antipoverty strategy designed to create ladders of opportunity for the poor. For instance, it is embedding social and emotional learning into its curriculum, teaching self-awareness, self-management, social awareness, relationship skills and responsible decision-making. This approach is especially important in conflict and post-conflict environments like Afghanistan and South Sudan. BRAC also partners with private entities to promote connectivity among the poor when it is cost-effective to do, using mobiles phones, smart phones, desktop and laptops. The organization is currently in partnership talks with Pearson PLC, a leading global media and education company, to assist in Pakistan and elsewhere. BRAC is celebrating impact of mobile and solar age of racing to end poverty like no other network - links welcome here. Does this sound like your sort of adventure? Shelter Project in BRAC Haiti. Project duration is May 2011 - Jan 2012. Agriculture based Livelihood intervention. Project duration is Mar 2011 - Mar 2012. For the Housing Project in BRAC Haiti. Project duration is June 2010 - Nov 2011. For the Youth Enterprise School (YES) in BRAC Haiti. Project duration is Mar 2011 - Feb 2012. For the Health, Agriculture, Poultry & Livestock, Research & Evaluation, and Training Programmes in BRAC Liberia and Sierra Leone . Project duration is Oct 2008 - Dec 2011.Also for Flood rehabilitation project in Pakistan. For the Health, Agriculture, Poultry & Livestock, Research & Evaluation, and Training Programmes in BRAC Liberia and Sierra Leone . Project duration is Oct 2008 - Dec 2011. For the Integrated Project in BRAC Tanzania. For the Microfinance Programme in BRAC Sierra Leone. Project duration is Oct 2009 - Dec 2013. For the Microfinance Programme in BRAC Liberia. Project duration is Oct 2009 - Dec 2013. For the Agriculture Programme in BRAC Liberia. Project duration is June 2011 - May 2013. For Agriculture Programme. Project duration is June 2011 - May 2013. The partnership is for SHARP Nimroz health project. The project duration is Oct 2009 - Mar 2013. The committed fund is USD 2,315,402. For ELA programme. Project duration is May 2010 - Jan 2012. This is for agriculture programme. The project duration is Nov 2009 - Nov 2011. The committed fund is USD 4,445,291. BRAC Microfinance, started its operation on the mid of 2006 in Tanzania and currently working in 112 branches with more than 118,000 borrowers. United Way Worldwide has been helping BRAC Tanzania as one of our promising partners for Poverty Alleviation through Micro Finance. The overall objective of this partnership is to increase access to financial Services for the majority of poor in Masama Branch and Machame Branch in Kilimanjaro region with a particular emphasis on women who have been left out by the mainstream financial system. The program is designed with a focus on poverty reduction through credit facilities for employment and income generation for the poor in Masama and Machame. A minimum of 2000 women entrepreneurs in Masama and Machame will be served with small loans within 1 year. The Empowerment and Livelihood for Adolescents (ELA) programme started in Tanzania in August, 2008 with the financial support of BRAC USA. In April 2011, the programme expanded with the financial and technical support of UNICEF. UNICEF & BRAC Tanzania share a commitment to the principles set out in the Universal Declaration of Human Rights, The Convention on the right of the child and The Convention on the Elimination of All Forms of Discrimination Against Women. BRAC Tanzania implement this through ELA (Empowerment and Livelihood for Adolescents) Program on prevention of HIV infection, unwanted pregnancy and Sexual Violence. The UNICEF-funded program is running in the Temeke district and both urban and rural dstricts in the Mbeya region, with 80 clubs and 3,005 female members. For the Karamoja project. Project duration is from Nov 2010 - Dec 2014. For Agriculture Programme. Project duration is Apr 2010 - Mar 2012. GFATM R8 TB project. The project duration is from Oct 2009 - Sep 2014. GFATM R8 Malaria (PR) project. Project duration is from Feb 2010 - Jan 2015. GFATM R8 Malaria (SR) project. Project duration is from June 2010 - Jan 2015. This is for the TB Care 1 project. Project duration is from Feb 2009 - June 2011. IMCHN - Kabul project. Project duration is from July 2010 - Oct 2011. Health NID -Helmand project. Project duration is from Nov 2009 - Mar 2011. MNCH Badghis project. Project duration is from Oct 2010 - Sep 2011. MNCH - Helmand & Nimroz health project. Project Duration is from July 2011 - July 2012. Behavioural Change & Communication project. Project duration is from Aug 2010 - July 2011. Partnership for the Health NID -Helmand project. Project duration is from Nov 2009 - Mar 2011. Partnership for the Nursing Training School project. Project duration is from Oct 2009 - Sep 2012. Supplementary Feeding Programme. Project duration is from Feb 2010 - Mar 2011. Food for TB Patients - Kabul project. Project duration is from Apr 2010 - Dec 2011. Food for TB Patients - Parwan project. Project duration is from Apr 2010 - Dec 2011. Partnership is for the Girls Education Programme. Project duration is from Jan 2007 - Mar 2012. Partnership is for the Enhancement of Literacy in Afghanistan. Project duration is from July 2010 - June 2011. Partnership is for the National Solidarity Programme (NSP). This is for the Community Infrastructure Project. Project duration is from July 2010 - June 2011. Partnership is for the Targeting Ultra Poor programme and also for the Comprehensive Capacity Development Programme. Partnership is for the Education, Health, Social Safety Net project Health Insurance TUP, Flood Refinancing through MF and also for the Flood Rehabilitation project. For the Rice Cultivation in collaboration with IRRI. For Health, Education, Agriculture, Poultry & Livestock, Research & Evaluation and ELA programmes. For Karamoja Project. Project duration is Nov 2011 - Nov 2013. For Participatory Video Initiative - ELA programme. Project duration is Aug 2011 - Mar 2012. For Malaria project. Project duration is Jan 2011 - Dec 2012. For Education project. Project duration is Feb 2011 - Mar 2014. For Education Programme. Project duration is Jan 2010 - Dec 2012. For Agriculture programme. Project duration is July 2011 - June 2012. For Human Rights and Legal Empowerment Programme. Project duration is June 2010 - Dec 2011. For Human Rights and Legal Empowerment programme. Project duration is Jan 2011 - Dec 2013. For Morne a Bateau Livelihood Project. Project duration is Feb 2011 - Jan 2012. 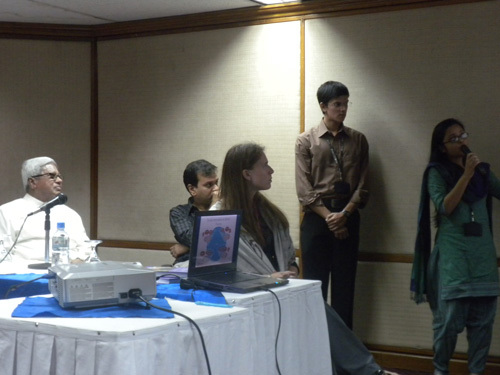 BRAC DECC and WASH Programmes host one intern every three months as a receiving institution. All students complete pre-agreed tasks as part of fulfilling their requirements for Masters in Global Health. Three credits are awarded to the intern on successful completion of the assignment. IRC is considered a "centre of excellence" in water, sanitation and hygiene globally. They provide back-up technical support in the fields of technical, knowledge management and monitoring for the ongoing WASH Programme. FHI 360 (former AID-ARTS) provides technical support in communication and private sector activties. IFPRI provides support in monitoring, learning and evaluation. IRRI is implementing different projects for the improvement of rice productivity of Bangladesh through variety development and technology dissemination. Research and development conducted on potatoes through gerplasm exchange and training. Implementing the project on Challenge Programme on Water and Food (CPWF) in the southern parts of Bangladesh. BRAC is providing support for communication and deployment of zinc fortified rice varieties in Bangladesh. Negotiation is ongoing for participation in seed multiplication and marketing of orange-flesh sweet potato in Uganda, Sierra Leone and Liberia. 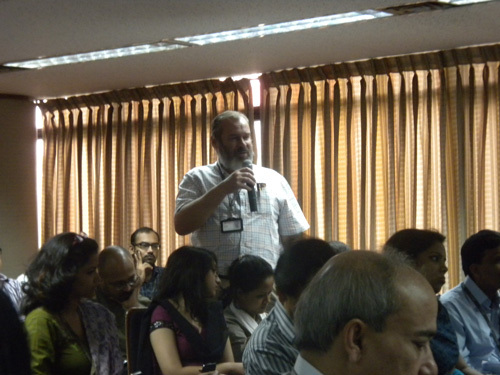 The Executive Director of BRAC is a member of the Project Advisory Committee of HarvestPlus. BRRI provides breeder seeds and training to BRAC staff. BRAC is an active partner in producing hybrid rice seeds in Bangladesh with the technical assistance of Hi-Tech Seed Co Ltd. BRAC also desires to have access to technical knowledge in order to develop hybrid rice seeds which are suitable to Bangladesh climate and also to produce and market such seeds in the country. BRAC is an active partner in producing hybrid rice seeds in Bangladesh with the technical assistance of Yuans Hi-Tech Seed Co Ltd. BRAC also desires to have access to technical expertise in order to develop hybrid rice seeds suitable to the Bangladesh climate and also to produce and market such seeds in Bangladesh. BRAC is an active partner in developing hybrid rice for the benefit of Bangladeshi farmers with the technical assistance of CNHRRDC. Both parties agreed to make efforts to jointly promote the development of hybrid rice, make contributions which will benefit the Bangladeshi farmers and strengthen the friendship between China and Bangladesh. BRAC is an active partner to market the SEED pump, to address the designing and developing irrigation products and services which will increase the income for small farmers. A year-long course on "Leadership Enhancement and Development" designed and facilitated by BRAC Learning Division for the managers of World Vision Bangladesh. Jointly working on submitting a training project proposal with BLD. Three-month long training project on health issues undertaken in the Bhola District. BLD Provides different training course on Development Management, Human Communication and Personnel Management to the Sajida Foundation staff members. BLD provides different training courses on Supportive Supervision, Human Communication and Monitoring and Evaluation to the staff of ILO Bangladesh. BLD provides different training courses on Management, and Effective Communication to the staff of TIB. Donors for the Social Development component of the Challenging the Frontiers of Poverty Reduction (CFPR) Project. Pre-primary, Primary, Secondary, Adolescent and Continuing education. These are all areas where BEP has initiated different activities and made progress. In four of these areas, BEP provides direct access to services and has a strong focus in their quality. In the secondary education programme, BEP is partnering with government-supported schools to improve the quality of their service provision. Besides this, the European Commission (EC), Unicef and Nike contribute to BEP to operate non-formal primary schools, pre-primary schools, Adolescent Clubs and SOFEA (Social and Financial Empowerment of Adolescent) programmes as bilateral donors. UNDP is the donor for the "UN Joint Programme on Violence Against Women" project, where BRAC Community Empowerment Programme (CEP) is providing technical assistance to UNDP for the project. The project takes place in the Habigonj, Narsingdi, Feni, Sirajgonj, Satkhira and Barguna districts. The project is being implemented in partnership with UNDP and Ministry of Local Government, Rural Development and Cooperatives. The goal of the project is “to improve the overall violence against women (VAW) situation in the REOPA and LIC operating districts”. These are all areas where BEP has initiated different activities and made progress. In four of these areas, BEP provides direct access to services and has a strong focus in their quality. In the secondary education programme, BEP is partnering with government-supported schools to improve the quality of their service provision. Besides this, the European Commission (EC), Unicef and Nike contribute to BEP to operate non-formal primary schools, pre-primary schools, Adolescent Clubs and SOFEA ( Social and Financial Empowerment of Adolescent) programmes as bilateral donors. BRAC has been implementing a TB - HIV collaborative project with USAID funds, receiving technical and financial support for the project through FHI 360. The project offers HIV screening test to TB patients in six DOTS corners of BRAC in Dhaka and Chittagong city corporations. From 2004 onwards, Bangladesh has been receiving the Global Fund for National TB Control Program under the Directorate General of Health Services (DGHS). BRAC serves as the principal recipient related to NGO implementation with 43 other partners. In addition, BRAC provides direct services in 297 upazillas in 42 districts, including Chittagong Hill Tracts, prisons, twenty four academic institutions, Chittagong and Khulna Port Authority Hospitals and various parts of the city corporations. Implementing EU funded projects in the coastal regions of Bangladesh. Implementing agriculture credit project in the cyclone prone area of Bangladesh. BRAC works at community level to create demand for health services among community people, while UNICEF works with the Ministry of Health and Family Welfare of GoB in the supply-side by providing technical and logistical support to the GoB health facilities. BRAC and BNNRC are in partnership forming "Children's Clubs" for BRAC's Community Radio, "Radio Pollikontho" in Maulvibazar, with funding from UNICEF. Acid violence victims reported to BRAC CEP receive medical treatment, legal aid, and rehabilitation support in partnership with Acid Survivors Foundation (ASF). BRAC CEP is providing Income Generation Activities Trainings to Shishu Polli Plus beneficiaries (women who are victims of violence). In addition, BRAC CEP refers women violence victims reported to CEP to Shishu Polli Plus shelter homes. BRAC CEP and The Hunger Project - Bangladesh, is implementing the "Social Mobilization and Accountable Local Government towards Creating MDG Unions" in Mymensingh district in partnership. The project is funded by BRAC and also has BRAC RED as a partner. BRAC Community Empowerment Programme and Saferworld are in partnership implementing activities of the "Community Safety Pilot Project" in Kishoregonj district with funding from Saferworld. The Project is jointly funded by BRAC and Sightsavers with a portion of 50:50. BRAC is responsible for the demand side of the project i.e. advocacy and community mobilization. Sightsavers is responsible for the supply side including coordination with the partner hospitals for cataract surgery. BRAC’s first-ever Facebook competition is officially over! Congratulations to our winner, Daniel Ng from the University of Virginia on his ‘Play’ Project– a community playground project with the objective of creating safe accessible spaces for underprivileged children to play. A special mention goes out to our runners up; Maya – a community empowerment project for women, and Amadeyr Cloud’s digital content delivery project. In January, we received over 40 submissions from around the world and finally narrowed it down to seven best innovations with potential to be implemented at BRAC. We convened several internal judging panels to make our final decision. The winner gets the unique opportunity to work with BRAC’s Social Innovation Lab in Bangladesh. If you're in London, come see BRAC Development Institute's Syed Hashemi and Anasuya Sangupta discuss an effective model for reaching the very poorest. The Graduation model is based on BRAC's Ultra Poor programme in Bangladesh and is being piloted and scaled up in 10 countries around the world. On October 19, the BRAC Social Innovation Lab was formally launched in an informal gathering called “Social Innovation Forum.” The event focused on a theme of “How does BRAC do social innovation—past, present, and future?” and was dedicated to the memory of Aminul Alam (1949-2010), one of BRAC’s earliest and most influential innovators. A clip of his retelling of BRAC’s initial activities in poultry was played to pay tribute to the passion and incredible dedication he brought to the organization. The chairperson, Sir Fazle Abed, participated in the launch and offered inspirational reflections on innovation at BRAC. “Necessity is the mother of all inventions, as well as innovations,” he remarked with humor, and emphasized that BRAC’s goal at this point is not to reinvent the wheel, but to “do old things in a new, unique way.” There are many examples of these principles in practice in BRAC’s history; in the Oral rehydration Therapy Extension Program (OTEP) that BRAC launched in the 1970s, for example, BRAC took the “per-piece” payment scheme and applied it to health educators, tying their compensation to how many mothers they effectively taught how to make the lifesaving solution of water, salt, and sugar. Lay health educators reached twelve million mothers and significantly reduced child mortality from diarrheal disease, the major killer at the time. It used a similar model for education, considering students’ retention of knowledge in teachers’ pay. “No one had done it this way, but we did,” Abed commented. Innovation is one of BRAC’s core values, and there is no shortage of examples of how this looks in action. Abed closed his comments by reflecting on the many opportunities for innovation in the current global context, with particular excitement about gains that could be realized in education with creative usage of technology and expanding connectivity. Few places in the world have a more apparent need for creativity in development than Bangladesh. At once a success story of economic growth, entrepreneurship, and public-private approaches to building durable strategies for providing social services, it continues to face a host of complex and significant changes: climate change, rapid rates of urban migration, to name just a few. Bangladesh must grapple with the growing economic and social inequalities, and mobile populations that challenge traditional delivery models for everything from TB treatment to microfinance. BRAC can be a leader in identifying ways to adapt and continue to combat poverty in the midst of these changes. And with its expanding presence abroad, there are increasing opportunities to translate these local innovations to new contexts. With 2.5 billion people still living on under US $2 a day, the necessity remains quite palpable. With these possibilities in mind, the newly formed Social Innovation Lab team made a short presentation to further describe the state of innovation at BRAC. They called attention to how the organization has evolved over time to manage the incredible scale and scope of its activities—in introducing the necessary processes and specialized units that this operation requires, barriers to encouraging, testing, and evaluating innovative ideas have inadvertently cropped up. This is particularly true for dialog across programs, leading to missed opportunities to effectively harness the full magnitude of experience and wisdom at BRAC. In addition, there is often limited time to examine how others, in Bangladesh and abroad, are tackling dimensions of poverty, or to keep up with the ever-advancing state of knowledge, technology and research and global priorities. Innovation is a crucial competency to maintain, to continue to effectively combat poverty and sustain the energy and excitement of the caliber and talent of individuals that have built the BRAC that exists today. How can a massive organization practice innovation? BRAC has been reflecting on how to ensure that its investment in innovation matches the scale of its operations, and out of these conversations, the initial idea of a “Social Innovation Lab” was conceived. Housed in the Communications Department, this unit will seek to institutionalize innovation at BRAC and create an accessible space for all where ideas are shared, generated and nurtured. It will support programs in identifying existing innovations, running pilot programs, and facilitating dissemination of experiences, as well as seeking new partners with promising solutions to work with BRAC in tackling complex issues. Through its activities, the Social Innovation Lab will build program capacity for managing internal innovation and foster cross-program and organization-wide dialog and support for new ideas on how to advance BRAC’s mission. Already, a variety of exciting opportunities are emerging for consideration, from better serving “floating people” (transient slum dwellers) in urban areas, to utilizing technology for effective data utilization in integrated initiatives, to exploring reproductive health for adolescents to adopting an innovative model of private high schools from Kenya. The Social Innovation Lab will evaluate these proposals and their overall alignment with BRAC’s strategy and activities, and work with the programs to prioritize which to pursue. Many more exciting suggestions were offered by BRAC staff who attended the event, confirming that there is a wealth of innovative spirit and potential to harness and build on. 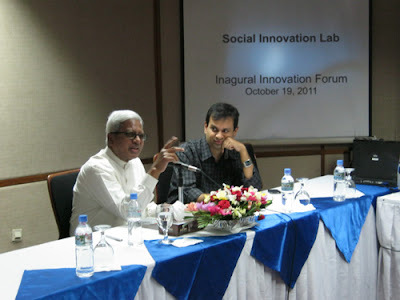 Click here to learn more about the Social Innovation Lab. Get more news and updates on BRAC's website. With all of my years working with BRAC and in development in general, I still find myself consistently blown away by the people we work with. Last month in Liberia, I met Cecilia Doe, a formidable woman who took on the Firestone corporation to get rights to land where her community now leverages BRAC's tools and training to grow rice. Cecilia is Liberia's secret to success, and she's one of millions! You can read below about how young girls in Uganda and Bangladesh are changing their communities as well. In addition to the incredible women and girls BRAC works with in developing communities, there are also many wonderful volunteers and interns who commit their time to BRAC's mission. I had a chance to meet with some of the summer interns at BRAC while in Bangladesh earlier this month, and was thoroughly impressed by this amazing group. You can read posts from some of our interns in the US and in Bangladesh on our blog. New and experienced, our interns and volunteers are part of the soul of this organization. They are true ambassadors of BRAC. BRAC was recently introduced to an initiative called Ureport. Initiated by UNICEF, Ureport is an SMS based forum designed to provide Ugandan youth with a platform to raise issues that concern them. The system uses mobile technology to allow youth to interact with each other and participate in a national dialog process. BRAC Uganda has partnered with the Ureport initiative by including the members from their youth clubs. BRAC Uganda's Empowerment and Livelihoods for Adolescents program has 690 clubs for adolescent girls and a further 100 Youth Development Centers under its Access to Health, Education and Youth Development program in Karamoja. About 26,500 adolescent girls in Uganda are now reached by these programs. Ureport is a great opportunity for BRAC to connect these girls through new mediums and a feedback based process. It fits nicely with our objective of supporting youth in becoming contributing members of their communities. Already more than 3,500 club members are being registered into the system along with nearly 9,000 young members from the microfinance and health programs. The hope is that these BRAC participants will spread the message and encourage others to join. Insana is 18 years old. She lives in a village in Kalampur, Dhamrai in Bangladesh. When she was in Grade 10, Insana was forced to drop out of school, as her family was unable to bear the associated costs and needed one more hand to add to the meager family income. This was a big blow for Insana, as she enjoyed school and wanted to continue her education further. Nevertheless, in response to her family’s needs, Insana stopped going to school and started rearing some chicks and ducks to help support her family. Insana was a member of a local SoFEA club, and her club mentor and the staff became aware of this and offered her the chance to enroll in a training program to learn tailoring. Although there was pressure from her family to find a higher earning job, Insana decided to take up the training. Click here to read more of Insana's story. This week, Christy Turlington Burns returned to Bangladesh for the first time since filming No Woman, No Cry, a documentary that follows the stories of four women who face the dangers of pregnancy. One of the stories Christy covers in her film is Monica, who is working with Yasmin, a BRAC Community Health Promoter, to ensure she has a safe pregnancy. On the first day of her return, Christy talks with BRAC staff and visits our maternal health program in the slums of Dhaka, where she reunites with Yasmin. Click here to read Christy's story of her first day back in Bangladesh. - and, most significantly, they should be committed to responsible financing and the triple bottom line of people, planet and profit.Please, view the website of the Dutch Royal House for the speech of Princess Máxima. NEW YORK, July 22, 2009 - BRAC is leading a $15 million initiative to rebuild war-torn communities in West Africa, four organisations supporting the effort announced today. The Soros Economic Development Fund, Open Society Initiative for West Africa, Omidyar Network, and Humanity United are funding this groundbreaking initiative to support families and prevent renewed conflict. "This investment in the people of West Africa comes at a critical time," said Stewart Paperin, president of the Soros Economic Development Fund. "With their countries emerging from devastating civil wars, this support gives people the tools to rebuild." BRAC, one of the world's largest anti-poverty groups, is providing microfinance, health, and agricultural support in Sierra Leone and Liberia. It anticipates that over 500,000 people will benefit from these programmes. "In the face of overwhelming need, BRAC's work has real potential to create opportunities for hundreds of thousands of families to stabilise their lives and build for the future," said Matt Bannick, managing partner of Omidyar Network. "Our investment will help catalyse this economic and social impact." Since March, BRAC has opened 20 new microfinance branches in Sierra Leone and Liberia and will add 20 more by the end of the year. BRAC made its first loans in June. Over the next two years, it will provide financial services to tens of thousands of women, as well as agricultural supplies and training to small crop and livestock farmers. BRAC will also prepare four hundred community based health volunteers to provide ongoing essential healthcare and help fight deadly diseases like malaria, tuberculosis, and cholera. "People desperately need to earn a living," said Fazle Hasan Abed, founder and chairperson of BRAC. "Despite the many challenges these countries face, Liberia and Sierra Leone are uniquely positioned to become models for successful development in West Africa. We are committed to providing training and resources so that the poor, especially women, can unleash their capabilities as entrepreneurs and improve their livelihoods." BRAC's work in Sierra Leone and Liberia is being funded through a combination of grants and equity, and BRAC is negotiating additional debt capital to finance the loan portfolio. This two-year pilot programme will help BRAC build a long-term sustainable strategy for integrated development in Sierra Leone and Liberia. BRAC, a leading international development organization founded in Bangladesh announced that it has successfully raised $62.6 million of debt capital to provide microfinance loans to poor borrowers in Tanzania, Uganda and Southern Sudan. The BRAC Africa Loan Fund provides long-term, local-currency funding that will enable BRAC to scale up its microfinance operations to reach over 700,000 borrowers through over 200 branches across the three countries. The Fund represents the largest single financing to date of a southern hemisphere development organization expanding into Africa. The Fund will aggregate US dollar loans from investors through a special purpose company and use the capital to make local currency loans to BRAC Uganda, BRAC Tanzania and BRAC Southern Sudan over a period of seven years. A second and final closing is planned during the first half of 2009 to reach the Fund’s target of $74.0 million. In June 2006, BRAC began operating its Microfinance Program in three regions in Tanzania - Dar-es-salam, Arusha and Coast. In the past year, approximately USD 4 million in loans has been distributed through this program. The microfinance program includes outreach and services at the village level and is specifically focused on women. BRAC leveraged this organization capital to develop extension service cadre in health, agriculture and livestock initiatives. Currently, there are over 350 BRAC staff members working in Tanzania. S.Sudan March 2009: BRAC currently operates 17 microfinance branches in the country, reaching 14,000 members and is piloting initiatives in livelihoods, health and education. BRAC is the biggest non-governmental, nonprofit organization in the world – in terms of its budget, its staff and the number of people it reaches. BRAC is the biggest international NGO in Afghanistan, working very effectively in some of the most difficult areas. BRAC has broad-based development programs in East Africa and in countries recovering from war: Sudan, Sierra Leone and Liberia. BRAC provides more than $1 billion a year in micro loans to poor people; the repayment rate is more than 97%. BRAC pioneered a program for diagnosing and treating tuberculosis that is now used worldwide. BRAC treats almost 100,000 TB patients a year and has a 92% cure rate. BRAC operates more primary schools in Bangladesh than all the nursery, primary and secondary schools in England combined. BRAC’s dairy processes more than 70,000 liters of milk a day. The milk is produced entirely by villagers in every district of Bangladesh, none owning more than one or two cows. Students from across the world attend the BRAC University; thousands of villagers use its libraries and its on-line computer centers. The BRAC Bank has become one of the largest and most trusted in Bangladesh in only eight years of operation, and its lending concentrates almost entirely on small enterprise development, one notch up from microfinance. there are obviously many sub-permutations of issues vital to 5000 youth ambassadors , I wish interns in bangkadesh would bring a plaque with their university crest and nail it to the hotel reception wall declaring their university to be virtually associated with dhaka. the idea that a 3 year undergrad course needs to be done in one bricks ad mortared expensive place is not sustainable for any undergraduate of development economics - we needs to turn one of the dhaka hotels into a sort of club med for interns of dhaka as the open uni of smba - by the way the former first lady of s.africa already calls dhaka the open uni of microcredit. This book is about the triumph of optimism, enterprise, and common sense over despair. It is about development without bodrers., and an incredible organisation created to deal with abject poverty in a broken country. The borders BRAC has crossed are not just political borders, though those are real enough. It has breached the borders of development orthodoxy, discovering the fallacies in standard approaches to community development and demonmstrating that poverty can be pushed back dramatically if it is tackled directly. It has shown that poor, even completely destitute, women in a conservative Muslim society can learn, earn and lead. It has shown that the market can be a powerful ally in the fight against poverty. It has breached the borders of small, turning tiny experimental efforts into huge enterprises that are staffed almost exclusively by tens of thousands of villagers who once had nothing , and whose own borders were once defined by ignorance, ill health, isolation and fear.